Sustainable is a word you see pop up more and more, especially here in Scandinavia. While many people associate it with sustainable food, sustainable fashion or in other words, eco-friendly fashion, is also on the rise. When you’re considering buying a certain item, have you ever stopped and checked how it was made, what impact it’s manufacturing had on the environment and if it’s sustainable? I must admit that I haven’t. 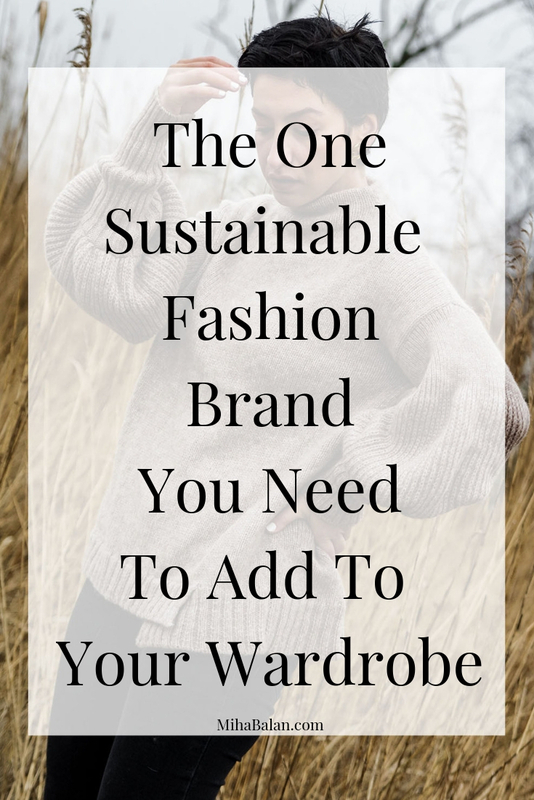 While I am not so much into trends nor the kind of girl that dreams about a huge closet full of clothes that I never wear, I haven’t really considered buying one garment over another just because it is eco-friendly. In fact, it’s been a really long time since I’ve even bothered to take a look and see what fabric the item is made of or the quality of it. But just as with recycling, eating less meat, using less plastic and so on, in time, we live and we learn. With so many stores to choose from and new trends showing up every day, it can be hard to slow down and start making a conscious choice in your purchases. 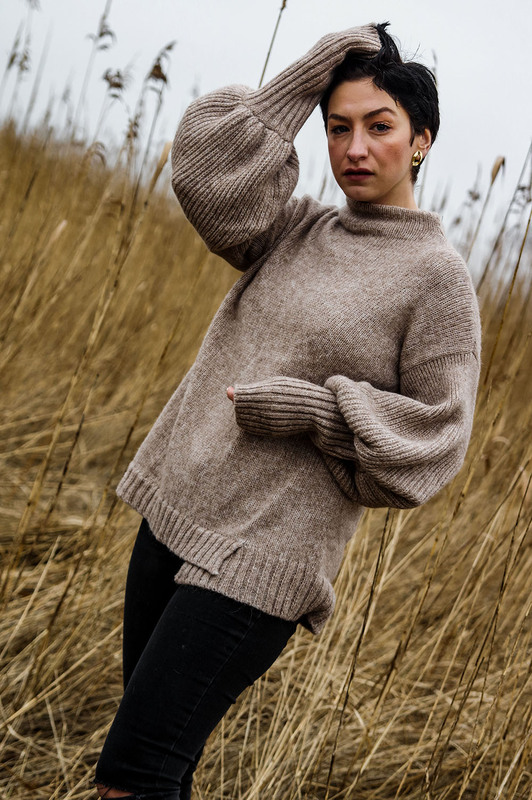 So if you are familiar with sustainable fashion or would like to slowly introduce it to your wardrobe, I am happy to introduce you to a sustainable fashion brand that I am sure you will love as much as I do. There were times as a small girl when my winter wardrobe was handmade entirely by my grandmother. From hats, huge scarfs, socks, sweater, and even trousers, she would knit everything for me. And while I didn’t at that time know how fashion works, I wore them every year until they didn’t fit me anymore and they were so dear to me. Did you also have clothes that were knitted by your grandmother, items that you still remember from your childhood? Salanida HERE is one of those brands that remind me of my sweet memories of childhood. 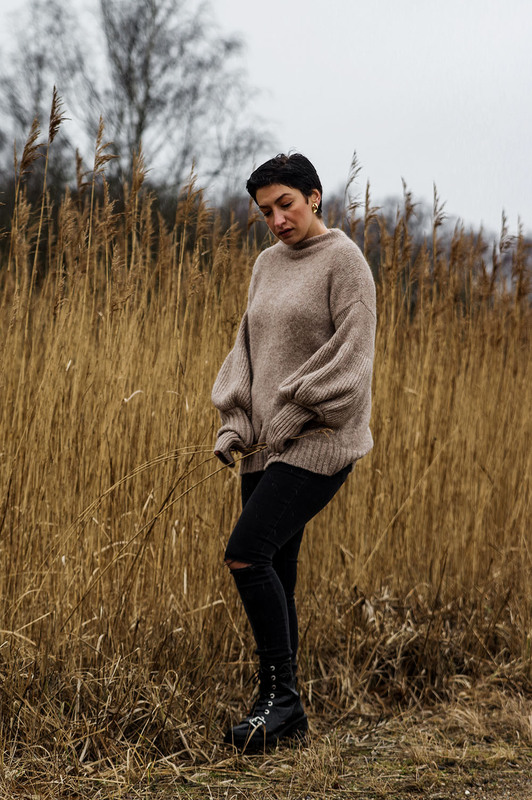 Salanida is a sustainable knitwear brand founded by 2 friends who teamed up to share what they truly believe in, with you. Their sweaters are knitted by hand with a lot of care and dedication and it usually takes 7 days for a sweater to be perfectly finished. 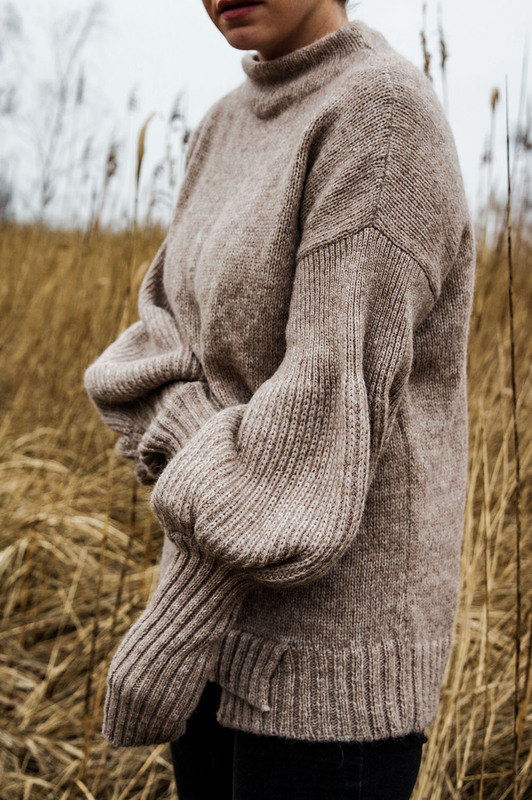 It’s a personal touch and I was really impressed not only by the softness and the quality of the sweater I received but also the stylish details on the arms that make it so special. Should there be a sweater I would wear for a hygge evening, this would be the one. The truth is that as an influencer (I really don’t like this word but this is how they call it these days), I get contacted by quite a few brands but it is rare that I actually write about them on my website. Salanida found a personal way of getting in touch with me, which made me happy to represent them and recommend them to you, my readers. “We aim to encourage people to choose less, but better. Have less stuff and more time for ourselves, our children, parents, friends, books or even sleep. Knowing makes a shift in our behaviour. By building a community of people with alike attitudes we can a be part of this change”. Taking a look over their whole sweaters and cardigans collection, I had a hard time picking just one piece that I would love to have in my closet. And even though summer is coming, there are certain cardigans or even sweaters that can be worn on a chilly summer evening and definitely for the springtime. Personally, I am quite excited to be more ethical in my clothing choices and pay more attention to what I buy and from where, as I want to be part of the group of people that can slowly make a change to the environment. Have you ever considered introducing slowly sustainable fashion in your wardrobe?